GSTR-6 is a return form for all the input service distributors registered under GST. Every ISD is required to file invoices information at GSTN portal. 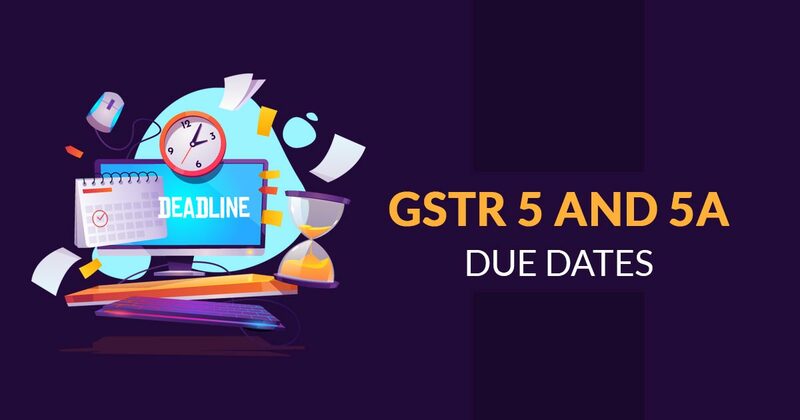 As filing of GSTR-6 occurs after modifying, correcting, removing and adding information under GSTR-6A, most of the information is auto-populated in GSTR-6 from GSTR-6A. GSTR 6, a monthly return form, is filed by an Input Service Distributor. Input Service Distributors need to fill all details related to ITC received and distributed by them. 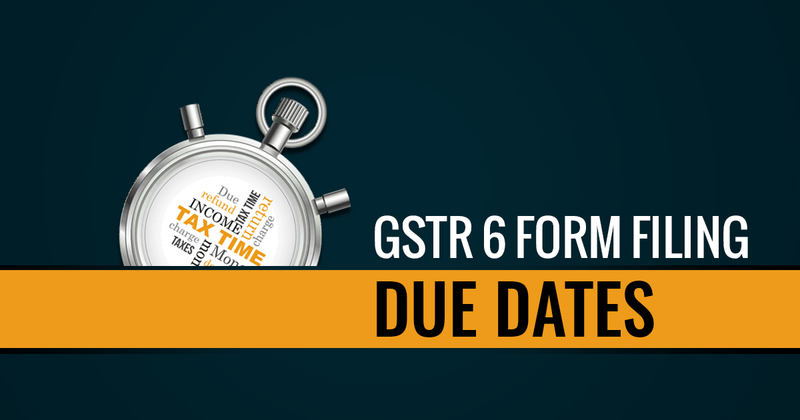 The due date form GSTR 6 contains 11 sections. Who is an ISD (Input Service Distributor)? Under GST, Input Service Distributor (ISD) is a business that receives invoices against services availed by its branches or other state units. In return, it issues an ISD invoice that clearly states the distribution of taxes paid for each branch in a proportion with the goods and services availed by each branch. The Taxes distributed subsume credit of central tax (CGST), State tax (SGST)/ Union territory tax (UTGST) or integrated tax (IGST) on the goods and services offered by the supplier to a particular branch. While each branch can have its own GSTIN but it must have the same PAN as that of the ISD. The Return details are shared with the particular branch/recipient as part of the GSTR 2A return form. These details must be included by the recipients or the branch in the GSTR-2 to claim credits. It must also be noted that ISD is not required while filing Annual returns. 1 GSTIN (Goods and Services Taxpayer Identification Number) It is a unique 15 digit state-wise PAN number. This is auto-populated during the return filing process. 2 Legal Name of the registered person This is also auto-populated once the taxpayer does login to the GST portal. 3 Tax Period Once logged in, the taxpayer must select the particular Period/month or year of tax for the GSTR-6 using the drop-down menu. 4 Input Tax Credit received for Distribution This section contains auto-populated details of all invoices of inward supplies received from a registered person and this is distributed as ITC for the current period. The details are auto-populated as per those furnished by the counterparty in their respective GSTR-1 and GSTR-5. ISD/taxpayer needs to enter the amount of credit available for CGST/SGST/IGST as the case may be. For purchases made in multiple slots, invoice details must be reported in the return period in which the last lot has been received and recorded in books of accounts. 5 Total ITC/ Eligible ITC/ Ineligible ITC to be distributed for the tax period. This section bifurcates the total ITC claims of the IDS as the eligible and ineligible. IDS or Taxpayer must provide CGST/SGST/IGST wise ITC details. 6 Distribution of ITC from above(serial No 5) This section is where the IDS distributes the aggregated ITC (eligible/ineligible) to the respective recipient/units. Based on this the respective units/dealers claim ITC. 7 Amendments in information furnished in previous returns In case of IDS wants to amend any errors made in previous months invoice details for inward supplies ( distribution document and debit /credit note), it can report so in this section. 8 Input tax credit miss-matches and reclaims to be distributed in the tax period Under this heading, IDS/taxpayer can report any Reversal as well as Reclaim of ITC owing to mismatch or rectification. 9 Redistribution of ITC distributed to a wrong recipient (plus/minus) In case of any previous incorrect distribution of ITC, IDS must furnish details of original distribution document and the details of redistribution documents (including invoices) for the specific dealer/ recipient in this section. 10 Late Fee Late Fees (if any) which has been paid by the dealer on account of CGST/SGST/IGST must be mentioned under this heading.